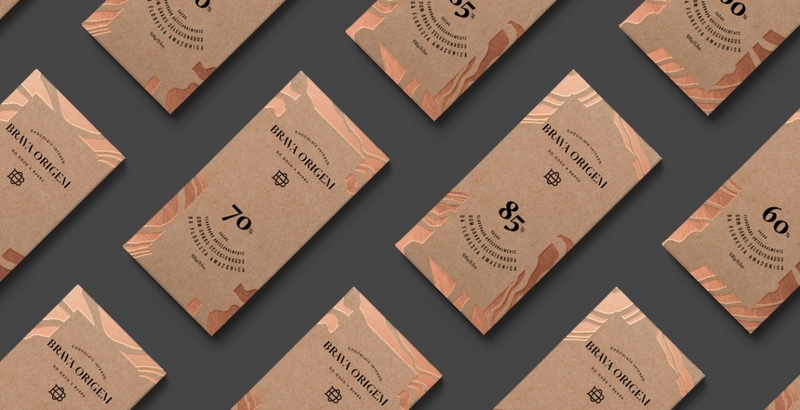 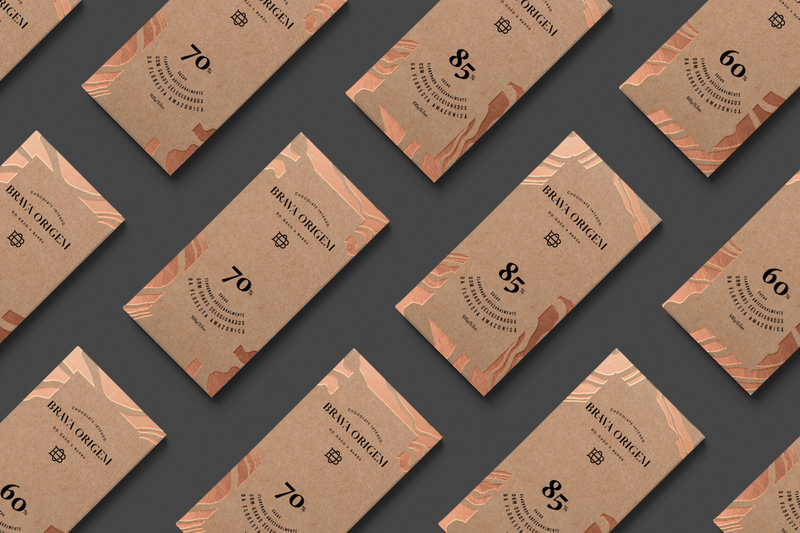 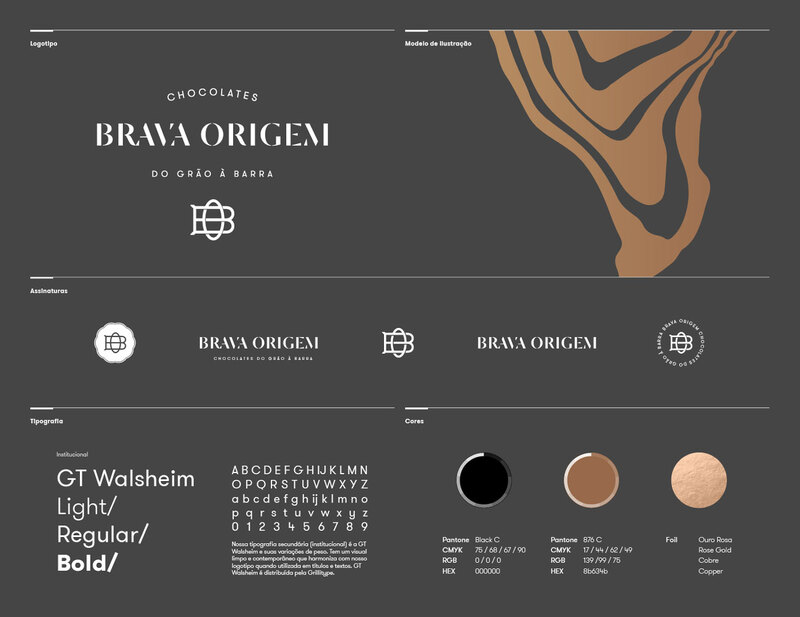 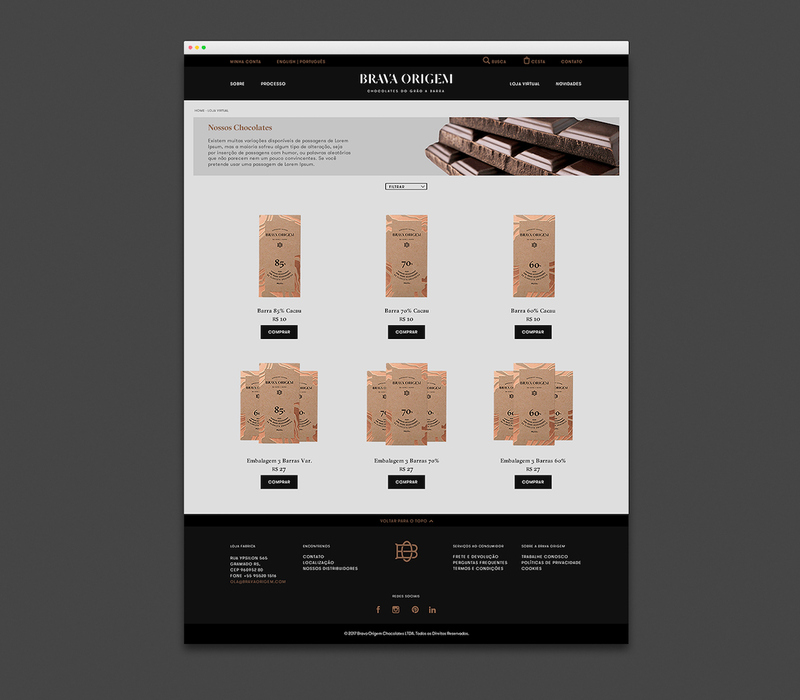 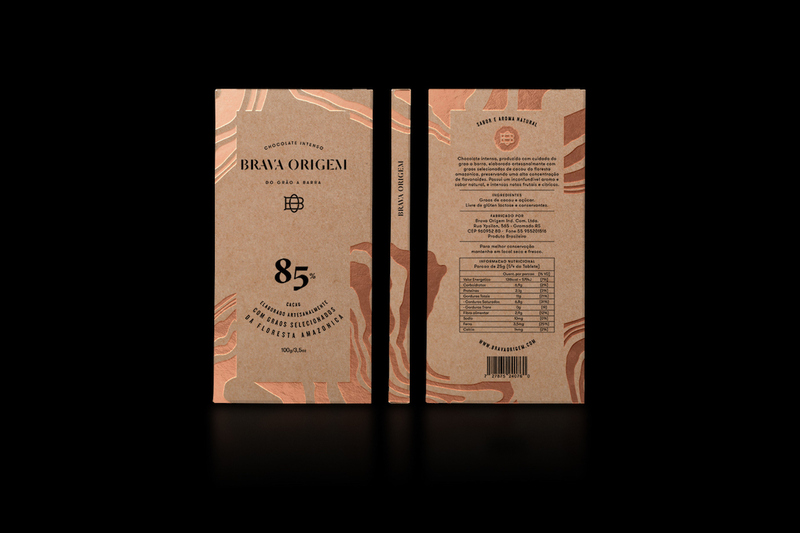 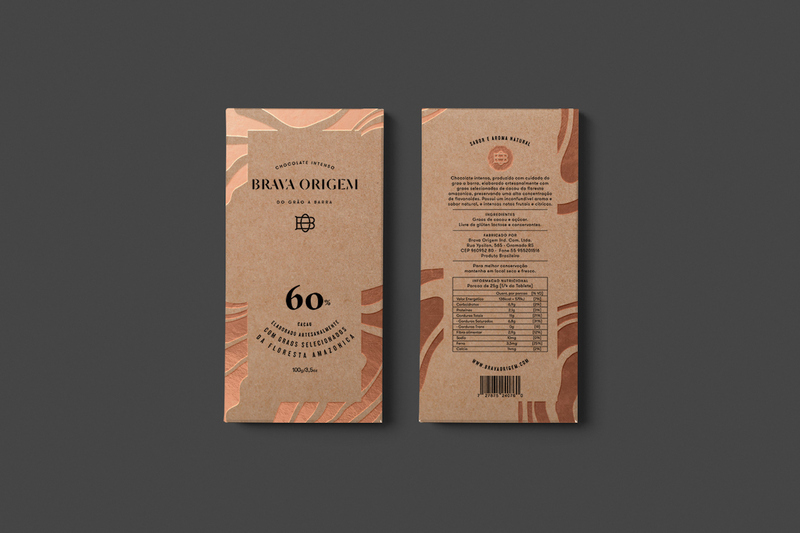 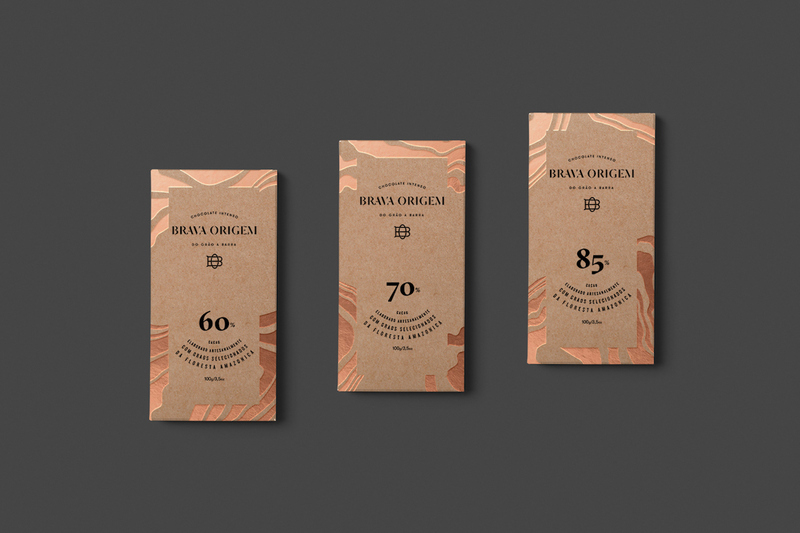 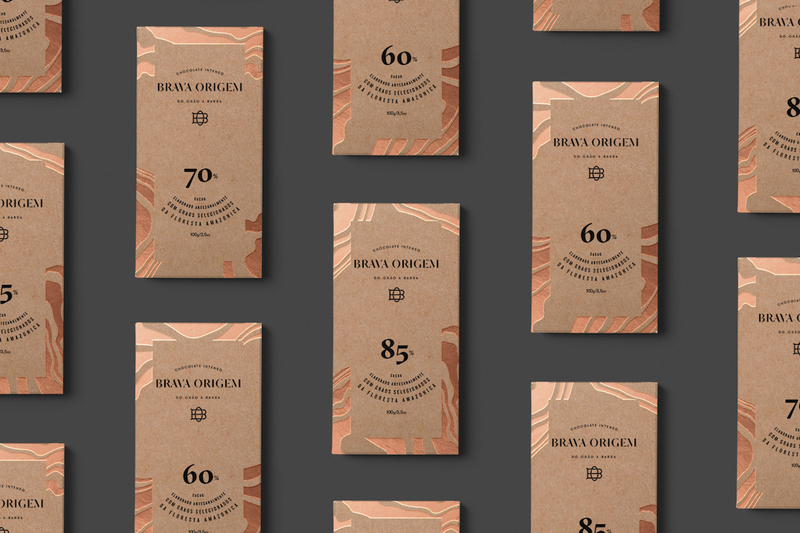 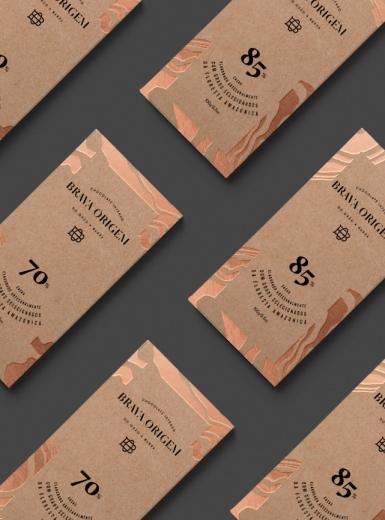 Designer Vinicius Andrade created the packaging and brand identity for Brava Origem, a Brazilian ‘bean to bar’ brand of chocolate. 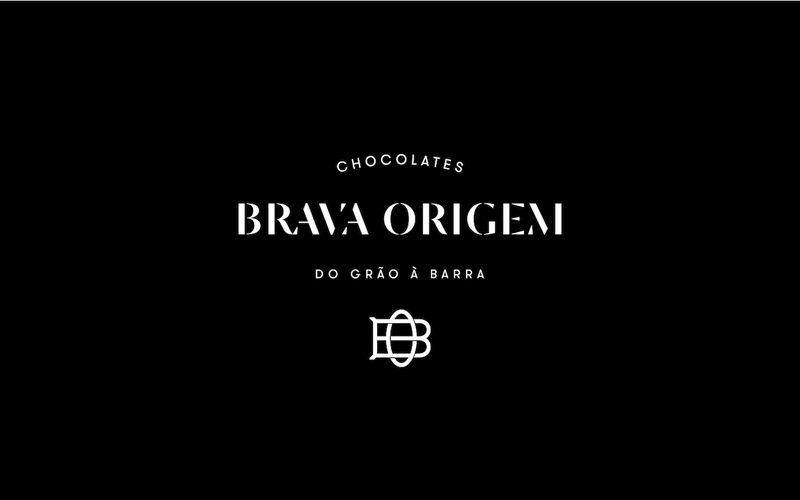 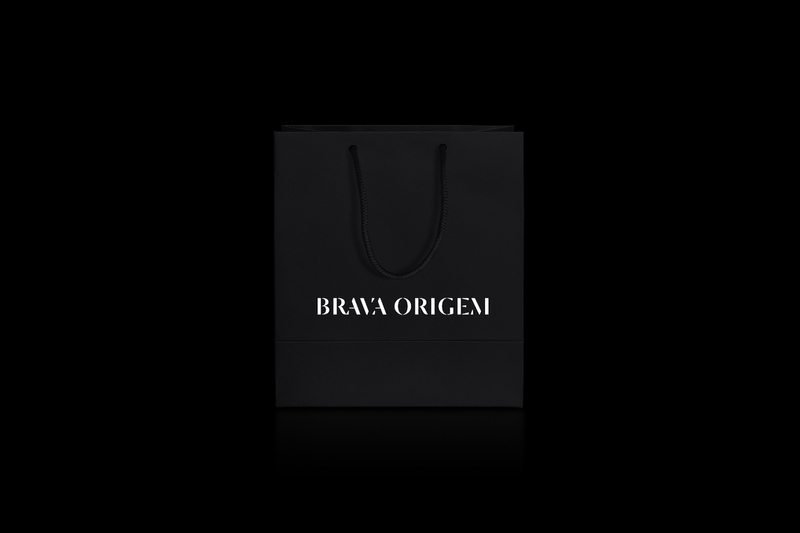 Brava Origem takes pride in its handcrafted manufacture of chocolates, using only the best Brazilian cacao. 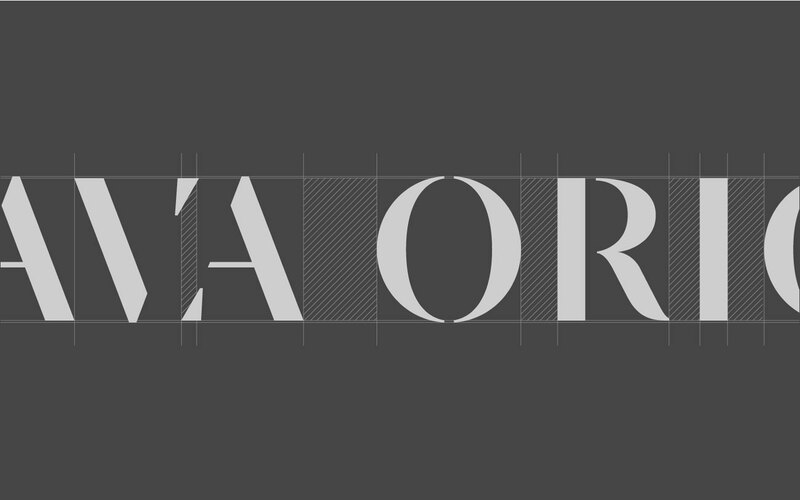 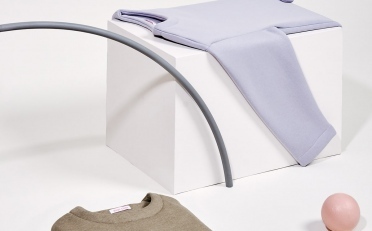 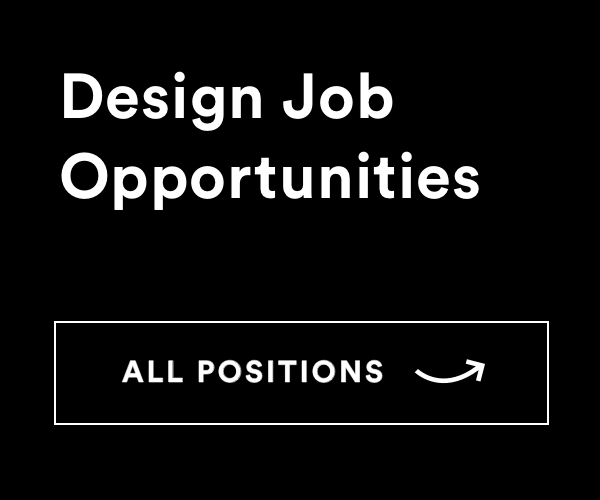 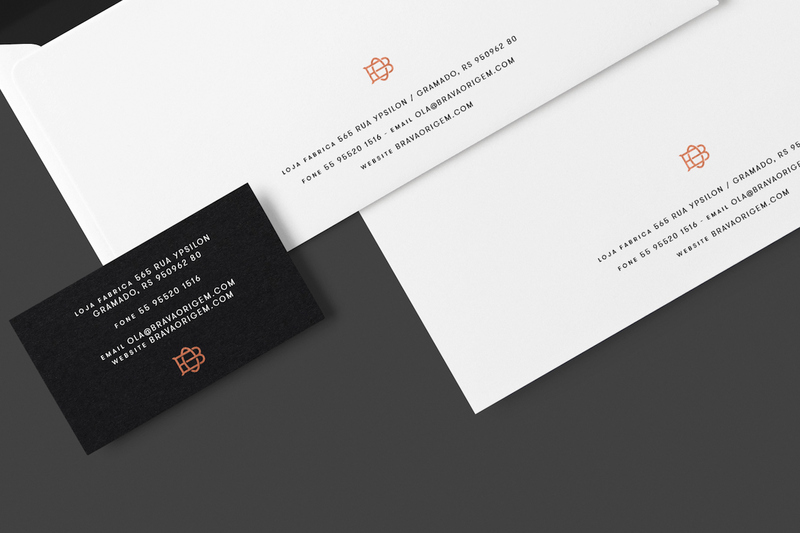 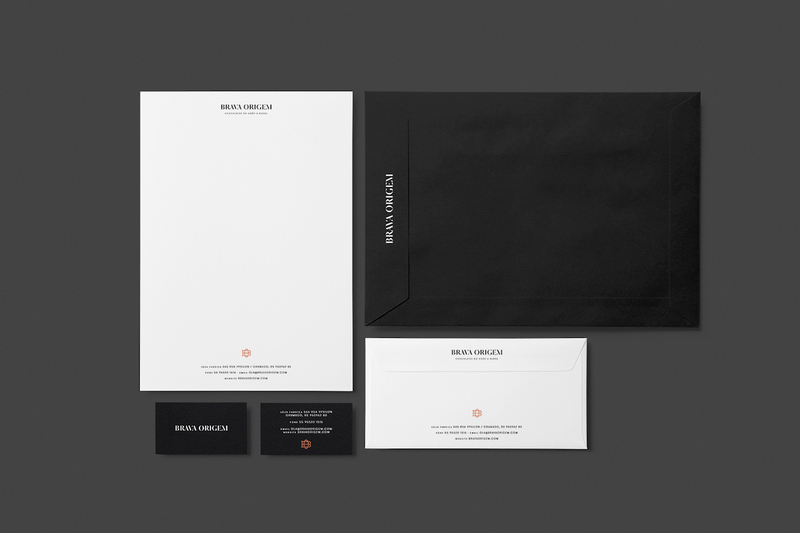 A distinctive yet minimal visual identity distinguishes the brand’s products from the common market. 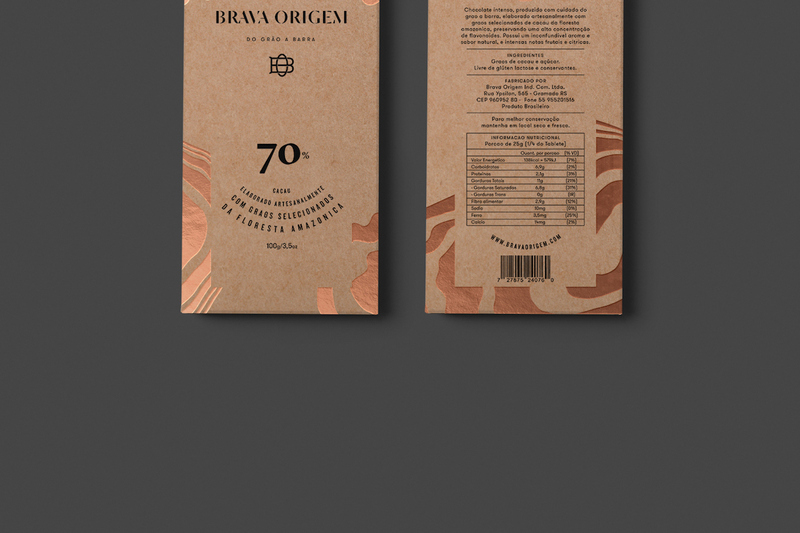 The packaging design takes inspiration from the geographic origin of the beans – the Amazon rainforest – as abstract illustrations created by ink on water depict the form of the Amazon river flowing through the forest. 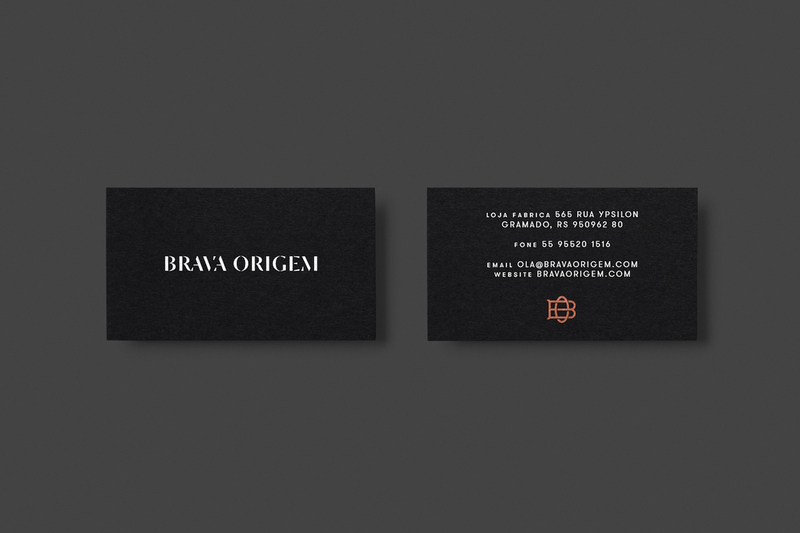 Clean, contemporary lettering is paired with a sleek logomark, and a neutral colour palette of brown and black with a rose gold foil finish used on the pattern design gives the branding a luxurious and high-quality feel.